Tasmania, known initially as Van Diemen's Land, is Australia's smallest state. It was the second Australian state to be settled by the British. In 1803, driven by concerns that France might claim the island, the Governor of New South Wales sent a small party of soldiers and convicts to establish a military outpost on Tasmania's south-east coast. They established their settlement at Risdon Cove, a few miles up the river from present day Hobart. A little more than a year later, in November 1804, Lieutenant Colonel William Paterson, established the first European settlement in northern Tasmania. 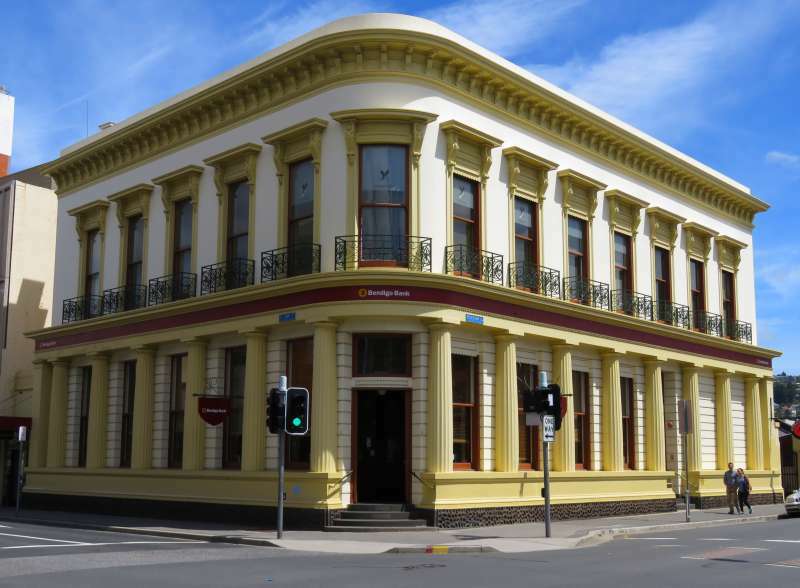 In March 1806 he moved from his first site at York Town on the west side of the Tamar River, to present day Launceston, which he named 'Patersonia'. He later changed the name to Launceston in honour of the birthplace of the Governor of New South Wales, Philip Gidley King. Until 1812, Tasmania was two separate administrative districts: Northern Tasmania, centred around Launceston and Southern Tasmania centred around Hobart. Hobart, Tasmania's present day capital, became the seat of government when the two districts were combined. Today Launceston has a population of about 86,000. Someone had parked a particularly unattractive truck in front of this building so I had to cut off the bottom. That is David in front. He looks like he is headed inside but he's just trying to get a closer look at the sign near the front door. Another building with a car parked in front. This last photo is just to show that Launceston is not all about buildings - and I love the way the church spire has photobombed my picture of the park. 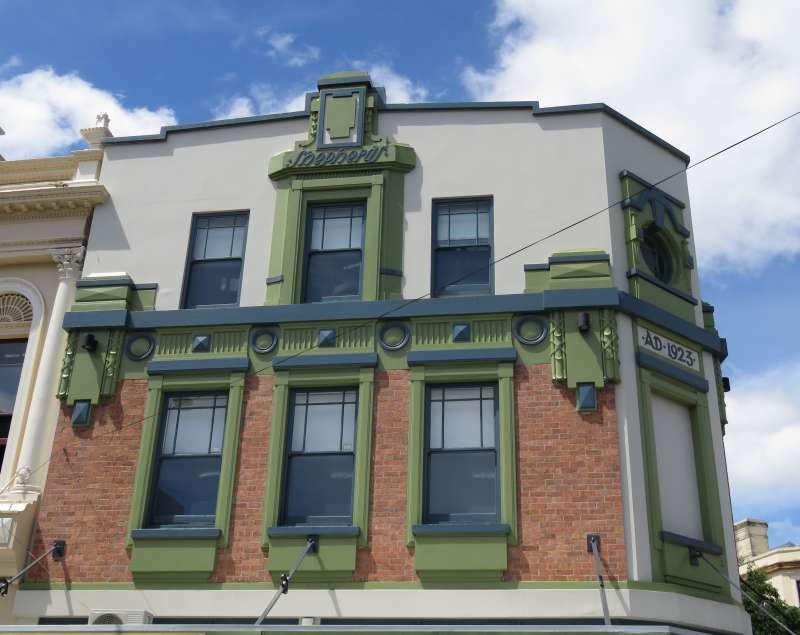 These are only a sample of the heritage buildings in Launceston. We saw all the buildings I have photographed in the course of a 45 minute walk, including time to stop and take photos. The local tourist information centre has an excellent walking tour pamphlet or click here for a printable brochure and map. As you may have noticed I have no idea what the names of most of the buildings are. If anyone knows which building is which I would love you to comment and let me know. I totally see your point about "what possessed you to book five nights in Launceston". We were there for a few nights before setting off on The Overland Track, and while it's beautiful, it is tiny and there isn't heaps to do. Love the buildings though! 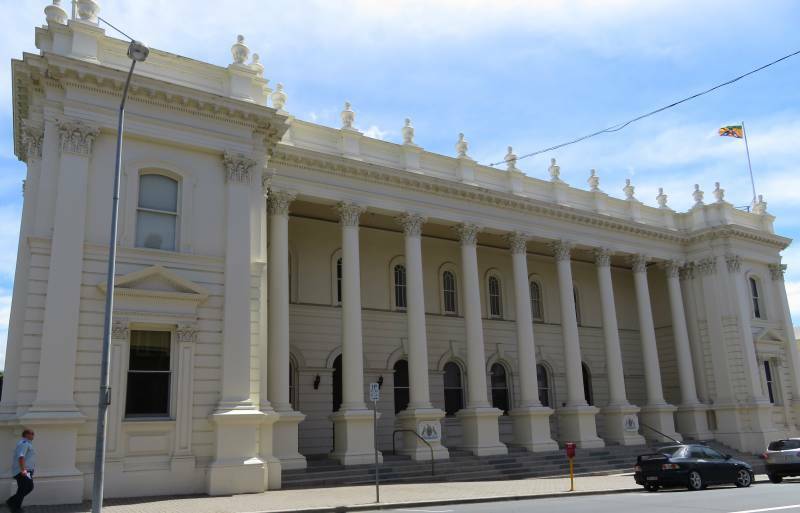 We discovered that while Launceston is small there are quite a few day trips within easy drive. We drove up to Low Head twice, once was late at night to see the penguins. 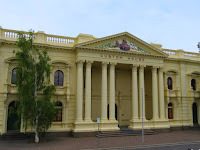 We also went to Deloraine to see platypus in the wild and we spent time exploring a few of the heritage towns around Launceston. Lyn when we went to Tasmania we flew into Launceston. We didn't take any time to explore it though and it looks like we missed out on some lovely buildings. It seems like it was a great spot for you to base yourselves out of for day trips as you mentioned in Tehran comment. Hi Sue, It is a bit of a shame you didn't see more of Launceston. David and I enjoyed exploring it. We had a lot more time than you though. At least you saw the penguins at Low Head. 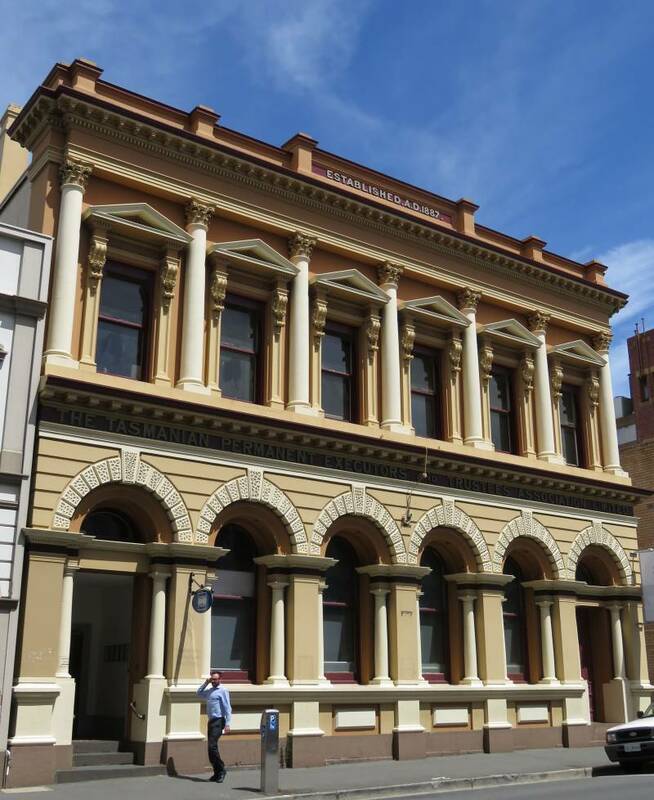 Enjoyed reading your introduction to the history and photo tour of Launceston! Hope to visit Tasmania some day. David wrote the history bit. He is more of a history buff than I am but I was conscious that at least some of the people reading this may have never heard of Tasmania. Launceston is a great city to walk in. Wow! I had no idea that Tasmania was so classic! I love this architecture. 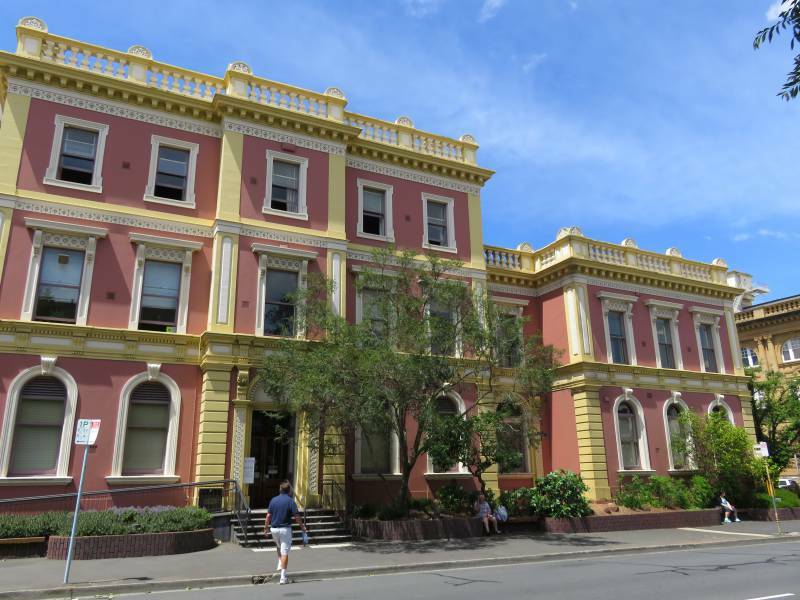 The buildings in Hobart were pretty good too but they didn't blow me away quite the way Launceston did. Beautiful architecture! Makes me miss Australia. You seem to have been lucky with blue sky also. We had great weather - except the night we went penguin watching! David is fanatical about checking the best time of year to visit places. Haha - I can absolutely recommend Launceston then. The buildings are in beautiful condition. Either by restoration or maintenance, they are treasures. Hi Rhonda. 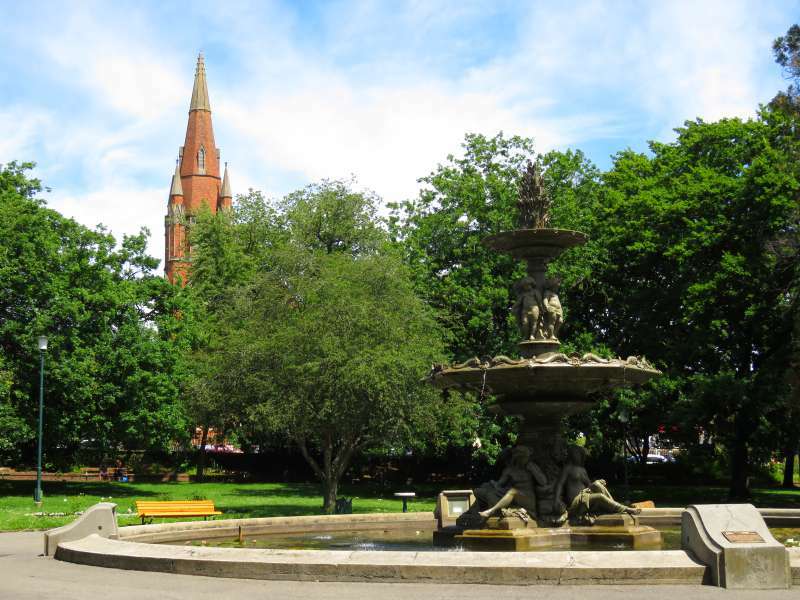 Have you ever been to Invercargill. 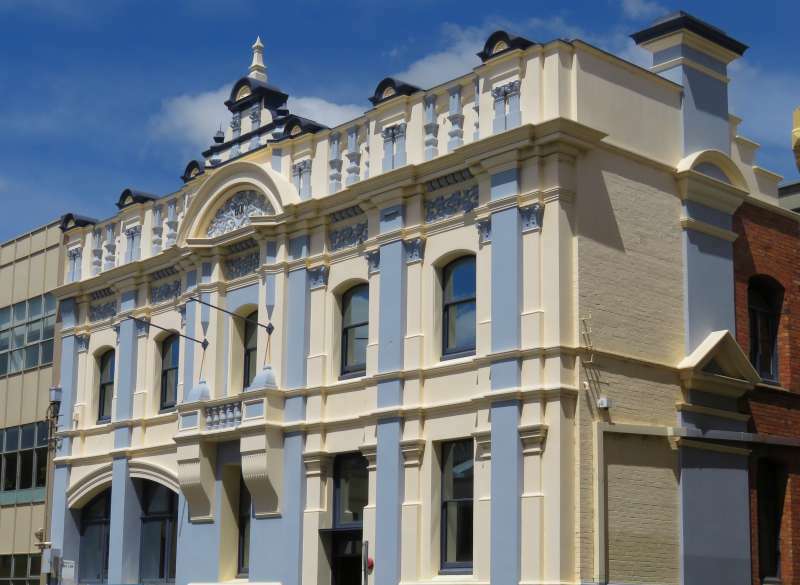 The buildings of Launceston reminded me very much of Invercargill's beautifully restored buildings. If you have never been there, it is worth the trip but check the weather, New Zealand's far south has a lovely couple of weeks in summer. You have David to thank for the history paragraph. I ran out of steam after I put the photos up and David came to the rescue. He wanted to put something in about cricket too but I cut it out. Apparently Tasmania is the only state in Australia that has two cricket associations. I wasn't sure how interesting that tidbit of information would be to anyone reading this - lol! Tasmania is quite different from the rest of Australia. The climate is much cooler and so it has more rainforest and lush countryside. I will have to dig out that book and read it myself. i always imagine Tasmania as being more wild -- hiking and vineyards and maybe some colonial ruins. Would not have expected this at all. This is very and colorful architecture. There is a lot of wilderness in Tasmania too, particularly on the west coast. I like "Lon"ceston; call it "lawn"ceston and they know you are a mainlander. Haha - I didn't know that! Interesting! 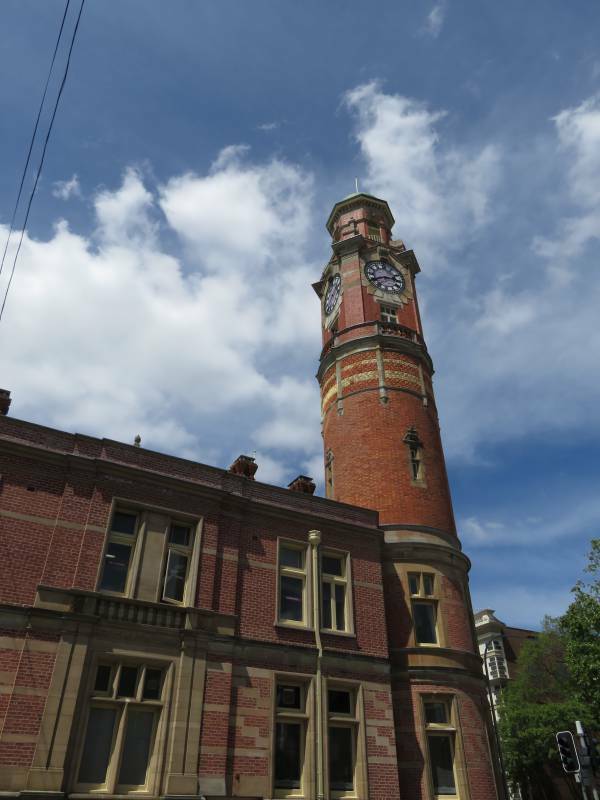 Launceston, and Tasmania in general, seems to have so much to offer. Tasmania is a stunning destination, particularly if you are in to wilderness. However David and I did Tasmania without the wilderness and still had a ball. Thanks for posting this Lyn! We will be in Tasmania in the end of March. 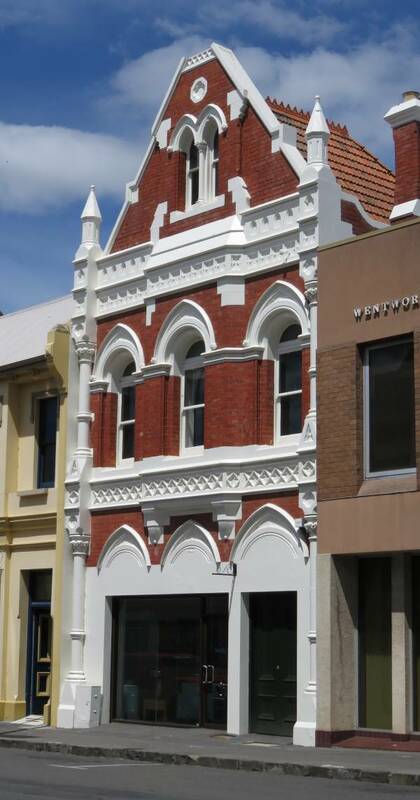 I wasn't sure if we should stop Launceston, and now we will go to see 'The Heritage Buildings of Launceston.' If there is anything else we should definitely see while there, please let me know. Looking forward to meeting you in person in April! Tasmania is mostly about wilderness. David and I aren't really in to wilderness so we did the less remote places. If you camp or hike I would very much recommend the west coast. Did you see my post on the white wallabies of Bruny Island? If you are in the Hobart area I would definitely go looking for them. If you are interested in seeing a platypus take a look at my blog post of a few weeks ago on where to look for a platypus in the wild. There is a link to a Facebook post (in the paragraph headed 'Postscript') where about 60 Tasmanians commented on the best places to look for them. It will be great to catch up in Sydney. Maybe we should go for a cycle together. You're right. 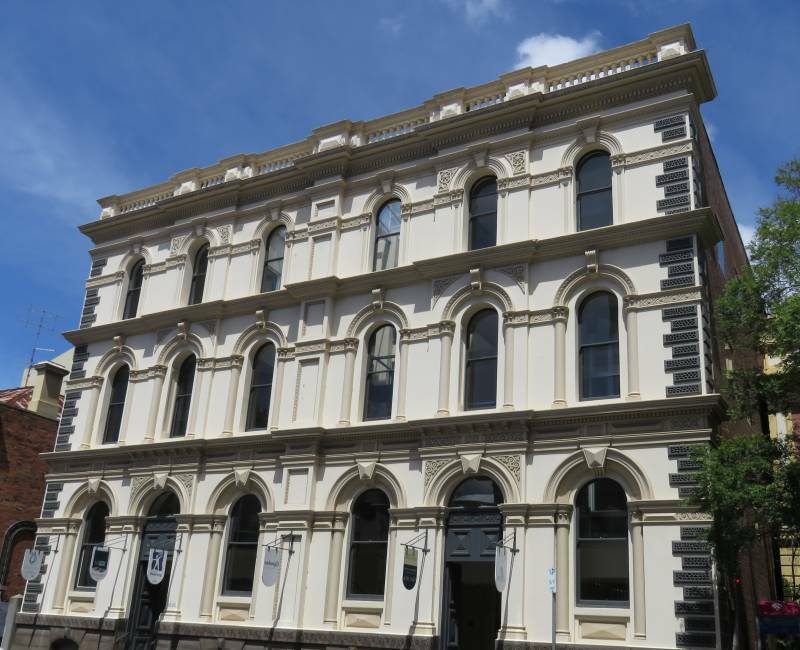 I would never have expected to visit Tasmania and find such fine old buildings. 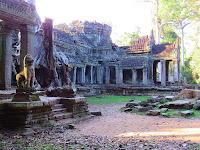 They remind me of the architecture in Freemantle near Perth in Western Australia, also very remote when it was settled. I hadn't thought of that but the buildings are very like those in Fremantle. David and I are headed back to Perth (twice) this year so I might do a post on them. I left a comment the other day but am not sure if it went through. I was surprised that some of the buildings you show, especially the bank building, remind me of the heritage buildings in Penang, Malaysia. I suppose it's the British colonial influence showing. I think you are correct. It is the British Colonial influence. In the early days of New South Wales there were pattern books showing building plans - a bit like the pattern books we have today for dressmaking. The use of those plans resulted in a lot of similar but still lovely buildings. I imagine much the same sort of thing happened with public buildings. 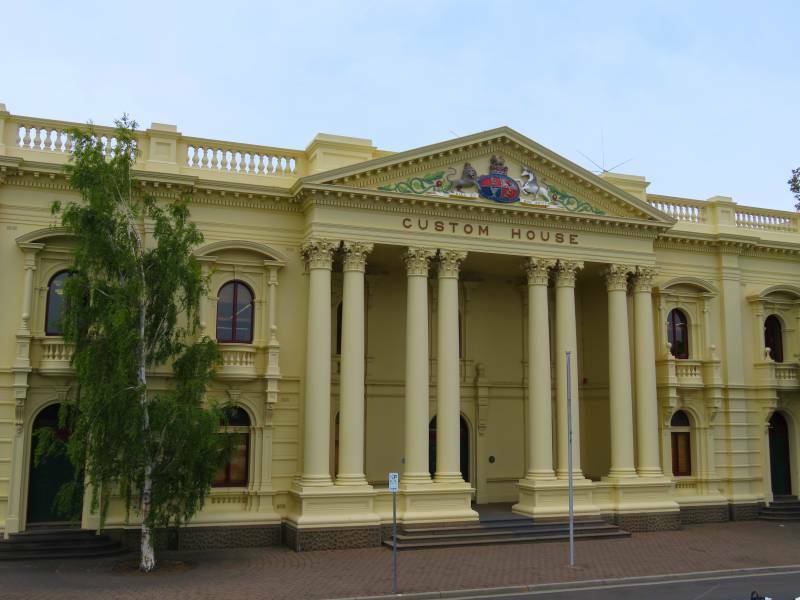 I know for example that there is a court house in Dubbo (I think) which looks like it was meant for India. In fact it was. The wrong plans were sent to Australia but the locals liked them and went ahead with the building anyway. I like to think there is a court house in India somewhere which looks like it was designed for an Australian country town. What gorgeous buildings! I have to say, I kind of like the dichotomy of a beat up old truck in front of that beautiful building. To me (who's never been there), it seems like Australia herself: New beauty alongside ages-old rugged. You really need to visit - lol! It is a magical country. Beautiful buildings! They would be perfect to feature in an historical movie! Yes, they would. Tasmania has been the setting of a few movies lately. All these buildings are with beautiful architecture.A walk along a route with such buildings must be a really interesting experience! It is a lovely walk. I have heard of Hobart before but not Launceston. I love how colorful these buildings are as well as all the great architecture. This looks like a beautiful place to walk around and see the architecture. Tasmania isn't huge. Launceston is only two and a half hours from Hobart. Double that if you take the scenic.